With this Advanced items you can build an advanced layout in visual steps without writing any code at all. Massive Visual Builder also gives you defult options of style for every item to choose from it without even touching the style control panel. 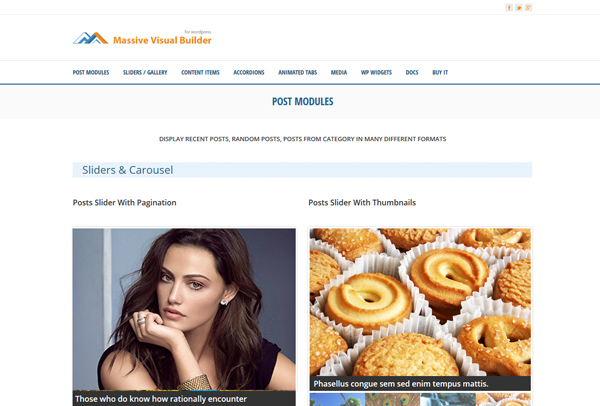 Massive Visual Builder compatible with any theme (magazines, Multi purpose or free themes). 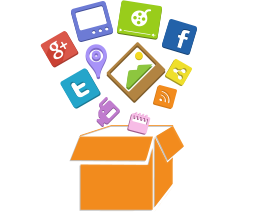 Reposition the elements using drag & drop feature, no coding just click, drag, release and you have whole new page. Massive Visual Builder gives you all options you need to custom your own theme layout and skin without write any stylesheet. also gives you multi defult selecting options of css for every item to choose from it without even touching the style control panel. "save as template" button to reuse it again any time you want, this will save time and gives you unlimited layout. and add it as new item to the page. Evrey Single Element already has his own properties to be resposive to any size of screens (descktop, tab & mobile). Massive Visual Builder will provide an optimal viewing of your theme. Translation ready and four languages interface beside the english. will reply you soon as possible.